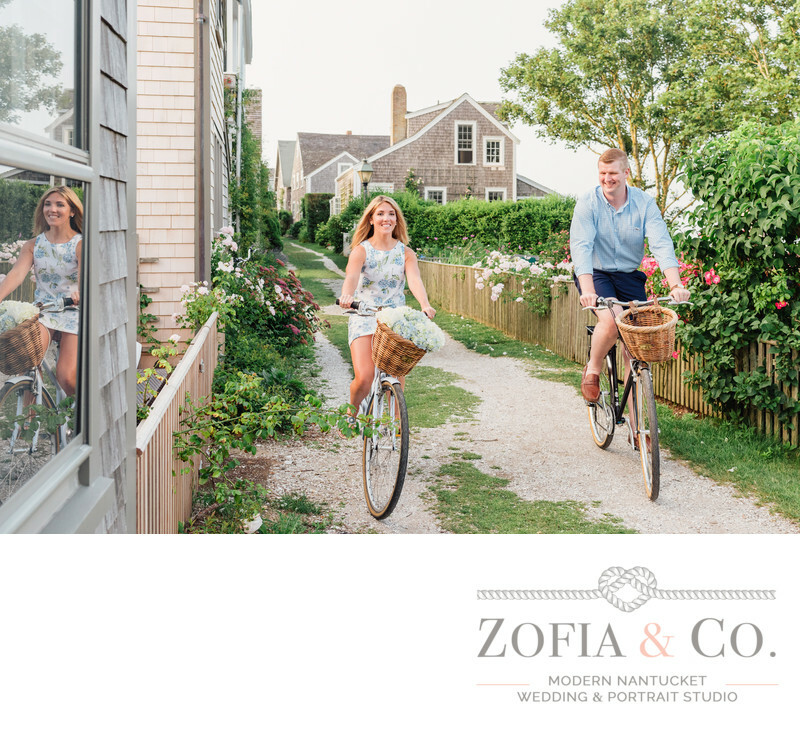 Nantucket engagement sessions include one hour of photography, an online ordering gallery and digital print files. Sessions are available as an add on to your wedding coverage for $500. They are also available for those getting married outside Nantucket, or without a wedding date yet, for $1250. During your session, we visit any location you'd like, or we can choose the itinerary for you. We can get from Madaket to Sconset in one session and capture a little tour of the island. 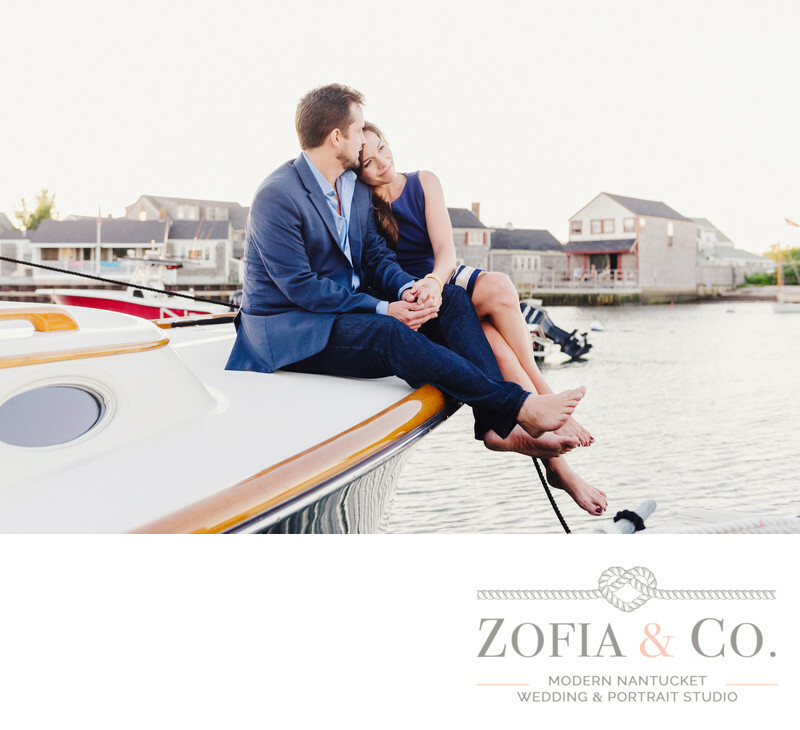 See some of our favorite photos, and read more about our Nantucket engagement sessions. Why is an engagement session a fantastic idea? 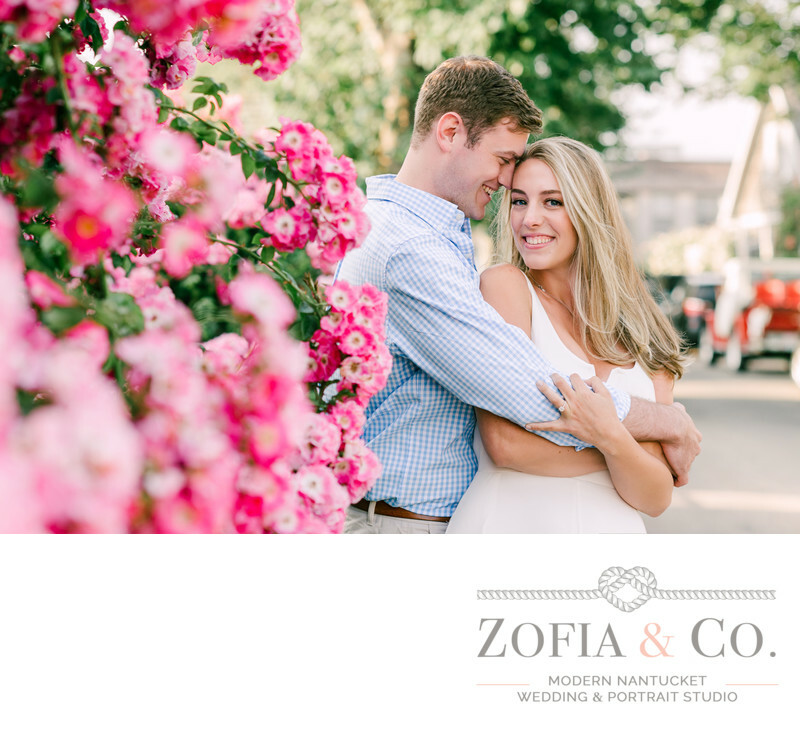 Consider this as a time for us to break the ice and loosen you up in front of the camera, an opportunity to have photos from your favorite Nantucket locations that you may not have time to get to at your wedding, for you to see how we work, and to learn some tips and tricks for making your wedding day portraits amazing. When should we start planning our engagement session? As soon as you have plans to come to the island, let us know. We book up fast in the summer and fall with family portraits, and on the weekends with weddings. We are available mid-week, M-Th, for engagements in season, though if you're only out here on weekends, we can try to squeeze you in on a Friday or Sunday. May-October is a better bet weather-wise than the off season when it's quite grey and chilly here... though Christmas Stroll is a fun weekend and festive, if that's the vibe you're going for. Who will photograph our engagement session? Zofia or Mark. If you've hired one of us as your wedding photographer, ideally that's who will likely photograph your engagement session as well. If one of us is already booked during the only time you can make it out here for your session, the other may be available to cover. What time of day should we plan for our session? That hour prior to sunset is prime time for golden light and our favorite time of day for any kind of portrait. That's when we'll have the most flattering on a sunny day. Any earlier on a sunny day and we're fighting harsh shadows and dealing with squinting, so we're limited to shady areas of which there aren't too many on the island. You should plan on a little wiggle room though, in case the weather turns and we need to bump the time up a bit. We are on an island, after all. If it's an overcast day, we can shoot whenever and wherever. Clouds are good! Should I get my hair and makeup done for the session? That's a fabulous idea, especially if you can schedule your wedding hair and makeup trials with your stylists early in the day. Just be sure you give ample time for the stylists to run late and do their thing, and in case we do need to bump up for the weather. What locations should we go to? We like to get to know a little about why Nantucket is important to you, and what you like to do while you're here. Do you have a vacation home here? What's your typical evening on island look like? 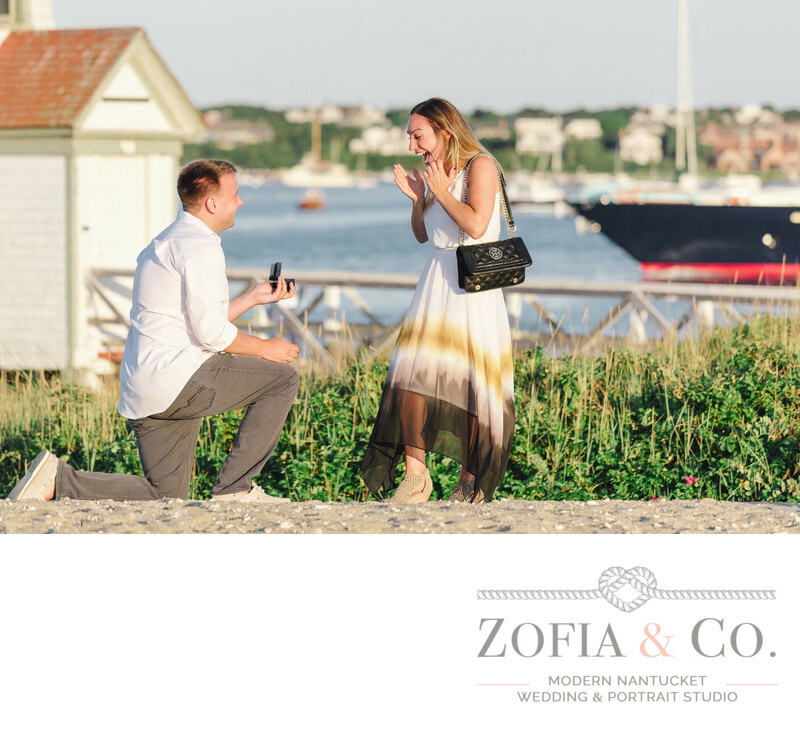 Were you engaged on Nantucket? Where was your first on island date? Any place that's special to you is where we'd like to take you. If there is a spot you particularly love but you won't have time to get to on your wedding day, let's go there too! We're happy to tailor the itinerary of the session based on all this. Depends! Are you a go with the flow type of couple? Umbrellas and rain boots can be fun, but often the rain brings wind with it and the wind is what will really dampen your session. We'll be in touch the week of your session to check on the weather and confirm the meeting location, time and date. But if the weather is a complete wash, we'll reschedule, even if that means having a little session the week of your wedding. What can we do with our engagement photos? Bring options if you're unsure. You can always change a look while we're out. Help! We’re super camera shy and awkward! We really love to surf, go scalloping, and ride bikes when we’re on Nantucket. Can we incorporate something fun into the session? YES. We love doing anything fun and different. What do you have in mind? Let us know! 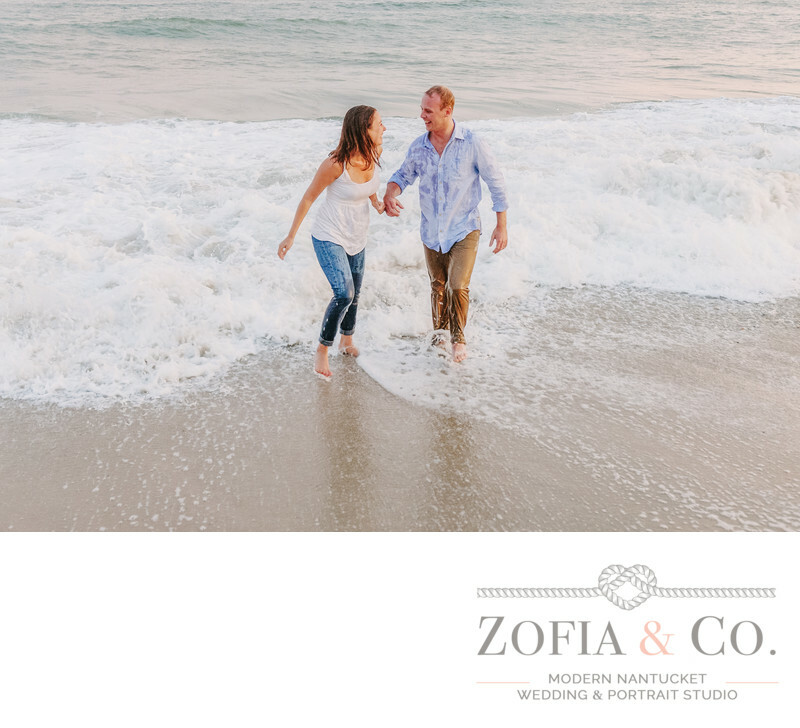 If you're not engaged yet, we're also available to photograph your surprise Nantucket marriage proposal! Propose to your loved one while we hide out and capture their reaction. We'll help you pick the location and angle with a pretty background, organize with you on the day of to make sure we inconspicuous, shoot with a long lens so that we’re not paparazzing your moment, and then head in closer once you get that hi-five or kiss! 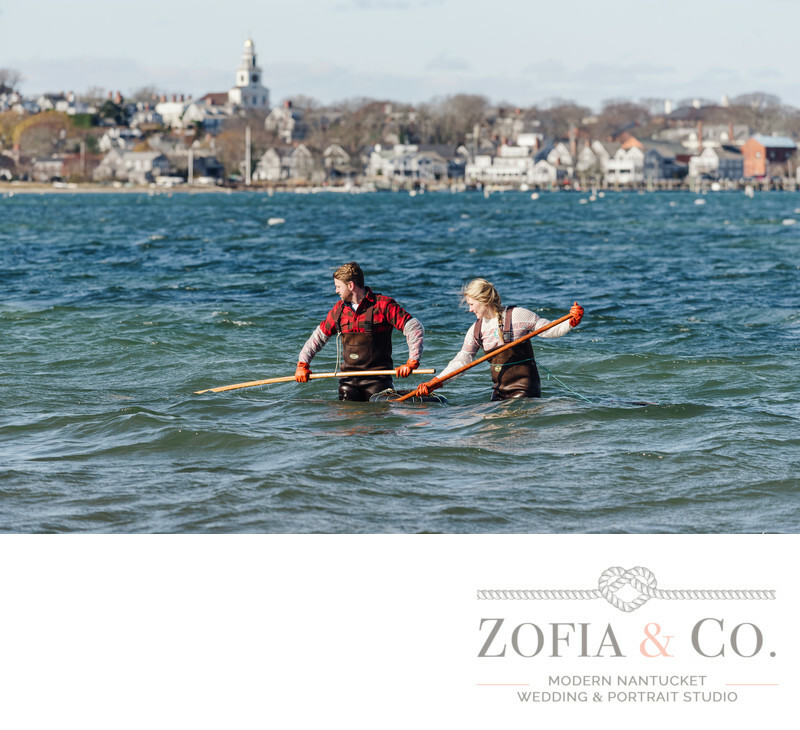 We have a couple options for Nantucket Marriage Proposals. The Full Session includes the actual proposal and a half hour portrait session of the two of you, much like the style you’ll see in our engagement sessions for $1250 with an online ordering gallery and digital print files. The Mini Session which only includes the actual proposal and a couple quick photos of the couple on location for $650 with an online ordering gallery and digital print files. PLANNING TO PROPOSE ON NANTUCKET? CONTACT US! WE'D LOVE TO CAPTURE IT FOR YOU!